"I think that losing Russia has almost been good for business. It has forced us to become more active and more competitive, along with more service and quality driven. It has also forced us to enter more demanding markets and dive deep into the fresh fruit specifications in force on other continents. Producers were educated about quality and the varieties required when visited by the foreign governments from the new expansion countries. This helped us to stay awake and follow new and previously unknown demand." shared Jan Nowakowski from Genesis Fresh. Fortunately for Genesis Fresh, the company had already decided, long before the Russian embargo, to target new markets to expand their business. “Believing that we can meet specifications of Asian and African countries, such as India, UAE, Singapore among others, the representatives of Genesis Fresh, including myself, have been continuously busy with numerous business trips, conferences and expos held overseas, since 2012/2013. Our target was to meet future Clients and get to know their specific markets. Travelling to the distant countries of Asia and Africa not only gave us an extensive experience and knowledge about how the markets operate, but it also provided us with a deep understanding of the potential clients' business demands,” explains Jan. “It has also taught us how to cooperate with different cultures to be successful in this business and become long-term, reliable business partner”, he adds. “After our business stays, we also invited the importers from the business destinations to Poland, to see the orchards and taste the varieties we grow. 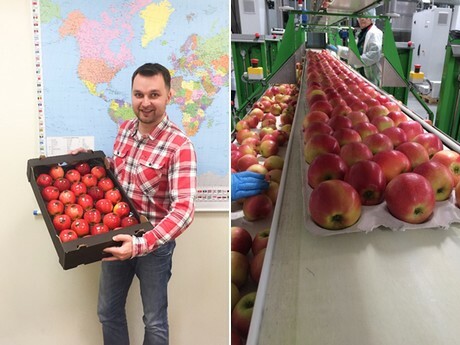 It helped the Clients to get familiarized with Polish methods of apples cultivation and choose the varieties and packaging that best suits their markets”, Jan says. As a result, along with selling the company apples to the domestic and EU markets, the company has also expanded the number of countries they export to. They have gained stable partners in Asia such as Vietnam, Singapore, Hong Kong, India and Malaysia, Egypt and the UAE in Africa, as well as Canada, where the company delivers fresh fruit successfully. “We are also in the process of preparation to sell to China. We perfectly know Chinese culture and style of purchase and sale, as I spent a lot of time travelling around China for the last year, to see the cultivation across more than 10 provinces. I’ve learned a lot about the quality, packaging and methods of Chinese. Therefore, I’m ready to adapt Polish shipments to meet the requirements of the new destination market”, explains Jan Nowakowski. In response to the recent situation, there are a lot of new domestic programs for growers, to help them remain competitive. 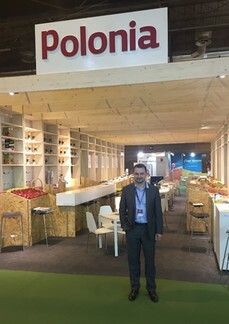 Current markets are more professional than they have been in the past and the Polish market is preparing to meet the needs of their new customers. Many growers are investing in buying the variety of apple trees which are in high demand in the expansion markets from the start, primarily purchasing from nurseries in the Netherlands and Italy. 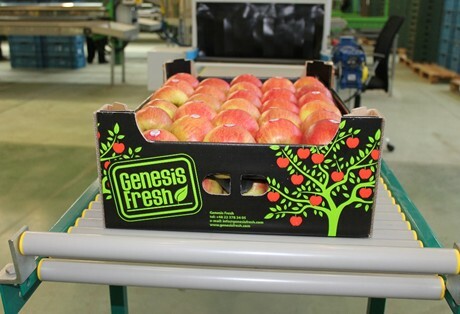 Genesis Fresh has taking part in varied international expos to show their fresh products and talk about the services they can provide, which they feel is a good way of coming out to potential foreign importers. "We also invite the potential Clients to see the orchards, taste the varieties and oversee the cultivation methods of our products. We are active participants of numerous conferences on fresh fruit export and import, and travel a lot to learn what taste, colours and varieties are in need across different stores of the new locales. We do deep research on what the markets need and we propose our products accordingly, by sending samples" said Jan. In order to promote their standing in the different markets, the company has decided to establish offices in India and China, and are working on having a subsidiary in Egypt. Jan said that they believe that having representatives in these areas will help them be at hand for their Clients and oversee the incoming products and service precisely. "We also want our Clients feel more comfortable, having better and easier access to information about what is available and what we can currently offer."